Petit Filet (teras major), cooked to your liking and topped with green peppercorn sauce. Served with potatoes and veggies, warm garlic loaf and salad or soup: chicken with green beans or leek/carrot/rice. 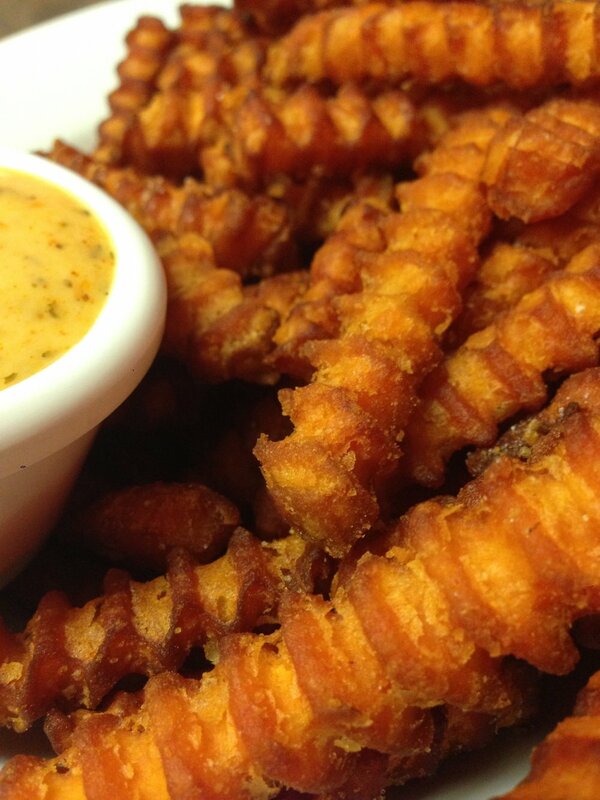 Sweet Potato Fries with Cajun ranch dip.